Some tourists already know a lot about Cyprus, while some people come here and find themselves in an unknown fairy tale — an island with a centuries long history. Cyprus is wonderful in any season and offers the opportunity to its guests to touch its ancient mysteries and miracles. 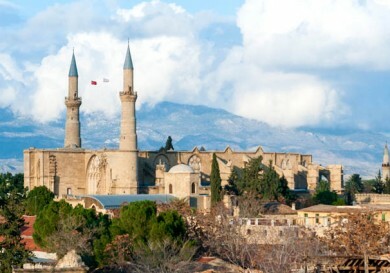 This God blessed land of Cyprus is full of sights, and we suggest you get acquainted with some of them. The Larnaca airport is the island’s main access and planes with travelers from various countries land here. Сonstruction of the new airport was completed at the end of 2009. Larnaca is just the start of the journey for many guests, from where а transfer service will take them to one of the resorts of the island. Only a few people know that Larnaca is called the land of Noah’s descendants. In ancient times there was a city of Kition founded, according to fable, by one of Noah’s descendants, the legendary Kittim, whose name is mentioned frequently in the Old Testament. 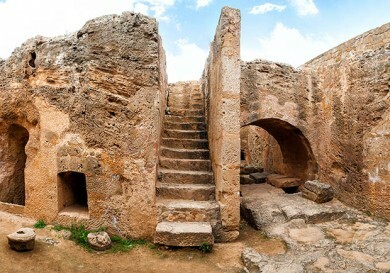 This city was located on the site of what is now modern Larnaca. Кition was located close to a salt lake, which is still there to this day. It was here that people produced high quality salt for export to Europe. 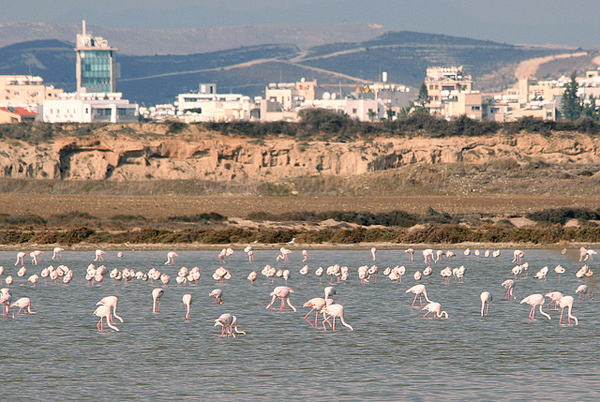 The salt lake of Larnaca dries up in summer, while birds from all over the world come here: pink flamingos, herons and mute swans, common cranes and other migrating birds. 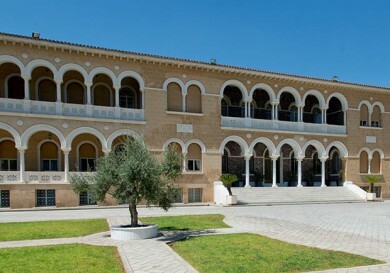 Read about Larnaca museums and our story about a trip around the salt lake with a visit to the Hala Sultan Mosque and the Blessed Virgin’s Church of Angeloksitos. The famous Greek philosopher Zenon of Kition, who founded the school of stoicism in Athens, where he moved to from Cyprus, was born in Larnaca to a family of a merchant. Zenon became the first preacher of stoicism and he believed that a man should base his actions on intelligence, not emotions and mood. For almost 500 years (from the 15th until the end of the 19th century) Larnaca has been one of the leading ports of the Mediterranean Sea, and the most prominent international trade centrе linking Western Europe and the East. This is why the leading states of the time, including Russia, created their colonies and consulates in Cyprus. 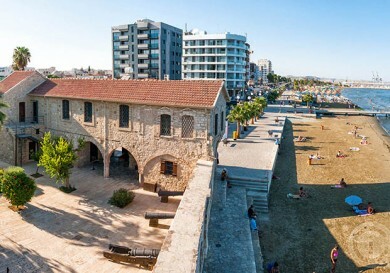 Larnaca has been a centre for diplomatic missions and commercial representative offices of the island since that time, until ports in Famagusta and Limassol were built, while consulates were moved to Nicosia. A flow of pilgrims to the church of Lazarus of Bethany, a friend of Christ, has not decreased since ancient times. According to the Gospels, Lazarus of Bethany was a citizen of the town of Bethany, located three kilometers from Jerusalem. Jesus Christ resurrected Lazarus on the fourth day after his death. The church calls Lazarus of Bethany Four Days Dead in remembrance of this miracle. Hieromonk Sofronios Mikhaelides says that relics of Lazarus of Bethany were first discovered in 890 in a tomb of a saint in a small church located on the site of the current church. When Emperor Leo VI the Wise learnt of the discovery, he ordered the delivery of this holy item to the capital city, Constantinople, and ordered money and the best craftsmen to be sent to Cyprus to build a new church. It is believed that citizens of Kition did not give away all the relics but left some of them in the town. The sacred church of Lazarus of Bethany is a basilica with three domes. The iconostasis, which dates back to the 18th century, keeps 120 icons. The finest woodcarving was made at the end of the 18th century by outstanding Cypriot craftsmen. Russian pilgrims will immediately notice an amazing large icon of the Holy Mother made by an unknown Russian icon painter. The church of Lazarus of Bethany is located on the crossroads of the Lazarus of Bethany Street (Agios Lazaros) and Faneromeis Avenue (Leoforos Faneromeis) near the embankment of Finikoudes. 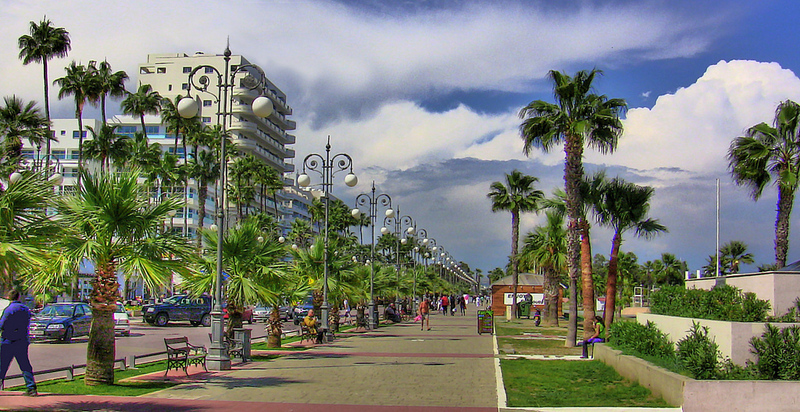 The palm embankment of Finikoudes is one of the main and most admired sights by visitors to the city of Larnaca. The official name of the embankment is the Avenue of Athens (Leoforos Athinon). 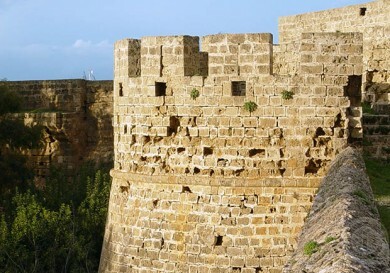 If you stand facing the sea, you will see a yacht port (Marina) to the left, аnd to the right there towers a fortress, the Fort of Larnaca, which was built by the Turks in 1625 and later turned into a prison during the British rule. Now the fortress hosts a Museum of the Middle Ages. There is a steep mountain with a height of 700 metres on the southern shore of Cyprus. It is seen clearly from the sea. It has been called the Olympus since ancient times. A heathen temple devoted to the presiding pagan god, Zeus, was built on the summit of the mountain. In the 14th century, a ship carrying the holy tsarina Yelena, the mother of Emperor Constantine the Great, ran into a gale after a voyage to the Holy Land and harboured on the shores of Cyprus. On the Tsarina’s orders the temple on the summit of the Olympus was demоlished, while а monastery to honour the Life Giving Cross of the Lord was laid on its site. It was because Tsarina Yelena was carrying the Cross, on which Lord Jesus Christ was crucified, from Jerusalem. A piece of the cross was given to the monastery as a gift, and is still the key holy object of the convent. 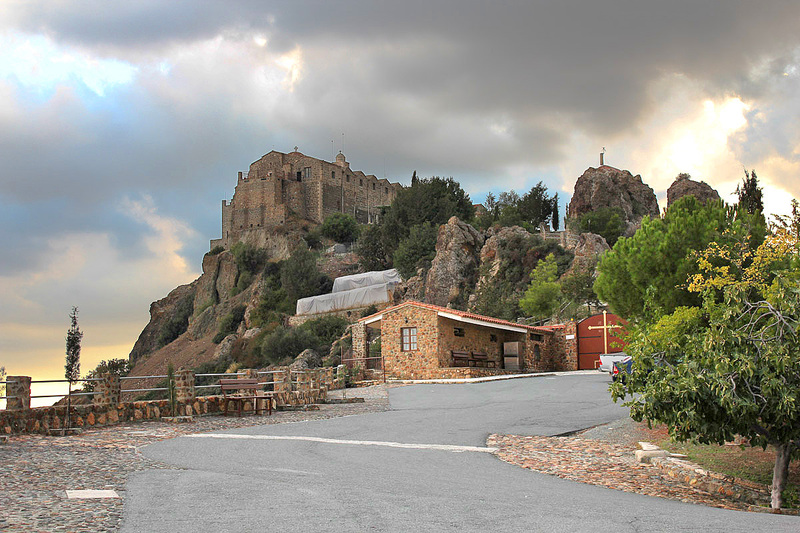 The mountain and the monastery have the name of Stavrovouni (Stavro meaning ‘cross’, vouni meaning ‘a mountain’). 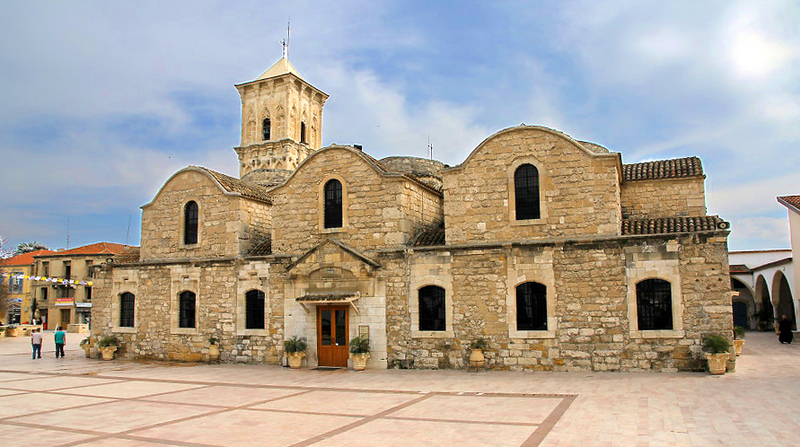 We know that the existing church of the monastery was founded in the Byzantine period and can be dated to the 10th century. In those days a church with holy object became a monastery, the central buildings of which remained quite small until the start of the 20th century. At the end of 90s (20th century) mural decorations of the key church of the monastery began. A famous icon painter, monk Kallinikos, headed the works. A workshop, where he lives and works until now, is located at the foot of the convent. Monks are engaged in gardening, bookbinding, they collect olives, locust beans, paint icons and make incense and candles in the Stavrovouni monastery. At present the main holy object of the monastery is an ancient cypress cross in a silver setting containing a particle of God’s Life-Giving Cross (the Cross on which Jesus Christ was crucified). Тhree parts of the monastery almost hang over the verge of a precipice. The convent is remarkable not only for its natural stone walls that seem unscalable, but also for its strict rules which forbid women from attending the monastery (this rule was introduced in 1988). They can visit the Church of All Saints at the summit of the mountain. 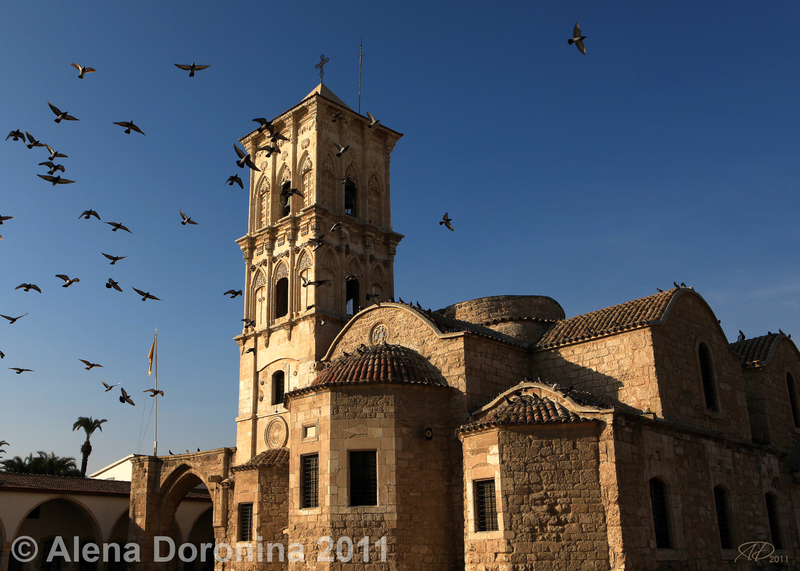 So, we have acquainted ourselves with some of the sights of one of Cyprus’s cities, Larnaca. Now for the sights of Limassol, Paphos, Ayia Napa and Protаras.